These "Terms and Conditions" govern the use of www.blackbride.com ("Website"). They also provide notice of some of Black Bride&apos;s policies. Please read these carefully. If you do not accept the Terms and Conditions stated here, do not use this website and service. By using this website, you are indicating your acceptance to be bound by these Terms and Conditions. Black Bride, Ltd. may revise these Terms and Conditions at any time at its sole discretion by updating this posting. You should visit this page periodically to review the Terms and Conditions, because they are binding on you. The terms "You" and "User" as used herein refer to all individuals and/or entities accessing this website for any reason. Black Bride authorizes you to view and download a single copy of the material on Black Bride (the "Website") solely for your personal, noncommercial use. The contents of this Website, such as the "look" and "feel" of the Website, text, graphics, images, logos, button icons, software and other "Material", are protected under both United States and foreign copyright, trademark and other laws. All Material is the property of Black Bride or its content suppliers or customers. The compilation (meaning the collection, arrangement and assembly) of all content on this Website is the exclusive property of Black Bride and protected by U.S. and international copyright laws. Unauthorized use of the Material may violate copyright, trademark, patent and other laws. You must retain all copyright, trademark, service mark and other proprietary notices contained in the original Material on any copy you make of the Material. You may not sell or modify the Material or reproduce, display, publicly perform, distribute, or otherwise use the Material in any way for any public or commercial purpose. The use of the Material on any other website or in a networked computer environment for any purpose is prohibited. You shall not copy or adapt the HTML or other code that Black Bride creates to generate its pages. It is also protected by Black Bride&apos;s copyright. Post or transmit any message, information, data, text, software or images, or other materials ("Content") that is unlawful, harmful, threatening, abusive, harassing, defamatory, libelous, vulgar, obscene, tortious otherwise objectionable or that may invade another&apos;s right of privacy or publicity. Impersonate any person or entity, including without limitation a Black Bride employee or agent, an authorized user of Black Bride&apos;s services, a candidate, placement specialist or an employer, or otherwise misrepresent your affiliation with any person or entity. Post or transmit any Content that you do not have a right to reproduce, display or transmit under any law or under contractual or fiduciary relationships (such as nondisclosure agreements or the resume of an individual other than yourself). Violations of system or network security may result in civil or criminal liability. Black Bride will investigate occurrences that may involve such violations and may involve, and cooperate with, law enforcement authorities in prosecuting users who are involved in such violations. Taking any action that imposes an unreasonable or disproportionately large load on this Website&apos;s infrastructure. DISCLOSING TO OR SHARING YOUR PASSWORD WITH ANY OTHER PERSON OR ENTITY OR USING YOUR PASSWORD FOR ANY UNAUTHORIZED PURPOSE. Notwithstanding anything to the contrary contained herein, using or attempting to use any engine, software, tool, agent or other device or mechanism (including without limitation browsers, spiders, robots, avatars or intelligent agents) to navigate or search this Website other than the search engine and search agents available from Black Bride on this Website and other than generally available third party web browsers (e.g., Netscape Navigator, Microsoft Explorer). Framing of or linking to any of the materials or information available from the Website. Use of any password-protected area of the website is restricted to the registered user who has been given permission and a password to enter such area. 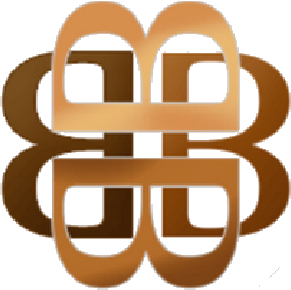 This password cannot be distributed to others, and the registered user is responsible for any and all damages to Black Bride resulting from the distribution of his or her password. You are responsible for maintaining the confidentiality of your information and password. You shall be responsible for all uses of your registration, whether or not authorized by you. You agree to immediately notify Black Bride of any unauthorized use of your registration or password. Black Bride does not represent or guarantee the truthfulness, accuracy, or reliability of communications posted by users or endorse any opinions expressed by users. You acknowledge that any reliance on material posted by other users will be at your own risk. Black Bride acts as a passive conduit for the online distribution and publication of user-submitted information and has no obligation to screen communications or information in advance and is not responsible for screening or monitoring material posted by users. If notified by a user of communications which allegedly do not conform to these Terms and Conditions, Black Bride may investigate the allegation and determine in good faith and its sole discretion whether to remove or request the removal of the communication. Black Bride has no liability or responsibility to users for performance or nonperformance of such activities. Black Bride reserves the right to expel users and prevent their further access to the Web Site for violating the Terms and Conditions or the law and the right to remove communications which are abusive, illegal, or disruptive. Black Bride may take any action with respect to user-submitted information that it deems necessary or appropriate in its sole discretion if it believes it may create liability for Black Bride or may cause Black Bride to lose (in whole or in part) the services of its ISPs or other suppliers. By submitting content to any public or non-public area of the Website, including message boards, forums, contests and chat rooms, you grant Black Bride and its affiliates the royalty-free, perpetual, irrevocable, sublicenseable (through multiple tiers), non-exclusive right (including any moral rights) and license to use, reproduce, modify, adapt, publish, translate, create derivative works from, distribute, communicate to the public, perform and display the content (in whole or in part) worldwide and/or to incorporate it in other works in any form, media, or technology now known or later developed, for the full term of any rights that may exist in such content. You also warrant that the holder of any rights, including moral rights in such content, has completely and effectively waived all such rights and validly and irrevocably granted to you the right to grant the license stated above. You also permit any subscriber to access, display, view, store and reproduce such content for personal use. Subject to the foregoing, the owner of such content placed on the Website retains any and all rights that may exist in such content. When listing your business, you must choose appropriate directories for your business. Example: If you are a Wedding Photographer, you may not list your business in the Honeymoon directory unless you also provide Honeymoon or Travel services. We reserve the right to deny listings in directories that we deem to be inappropriate to your type of business or that are inappropriate to our site. When paying by credit card online, the advertising payment form is a binding contract and you will not receive another invoice from BlackBride.com, but you will receive an invoice from our payment processor PayPal via email. If you pay by check or money order, you will receive an invoice via mail from BlackBride.com. Your contract period will begin as soon as your business information for a listing and/or other advertising is completely entered into our system. Your listing will be added to the site immediately upon completion of entering your information and you can login to update your listing at anytime. A renewal notice will be sent to you via email at least one month prior to your expiration date. Our system is automated and your listing and or other advertising will go offline at the end of your contract period if you fail to renew by the expiration date. Your listing will remain on the site through the contract period unless you specifically request that your listing be removed. Cancellation Policy: All advertising submissions are binding contracts and completion of the contract is required under the terms of this agreement. You may request that your listing be removed from BlackBride.com at any time, however, all advertising fees are non-refundable. Exceptions to the no refund policy may be made on a case-by-case basis and request for refunds must be submitted in writing and mailed to our corporate office at the address below. All payments made to Black Bride and or affiliates are non-refundable. Exceptions to the no refund policy may be made on a case-by-case basis and request for refunds must be submitted in writing and mailed to our corporate office at the address below. Black Bride is only a venue. This Website acts as a venue for advertisers and users to post and display communications and interactions between all parties and site users. As a result, Black Bride has no control over the quality, safety, truth, accuracy or legality of all information on this site. In addition, note that there are risks, including but not limited to the risk of physical harm, of dealing with strangers, foreign nationals, underage persons or people acting under false pretenses. You assume all risks associated with dealing with other users with whom you come in contact through the Web Site. Because user authentication on the Internet is difficult, Black Bride cannot and does not confirm that each user is who they claim to be. Because we do not and cannot be involved in user-to-user dealings or control the behavior of participants on Black Bride, in the event that you have a dispute with one or more users, you release Black Bride (and our agents and employees) from claims, demands and damages (actual and consequential, direct and indirect) of every kind and nature, known and unknown, suspected and unsuspected, disclosed and undisclosed, arising out of or in any way connected with such disputes. If you are a California resident, you waive California Civil Code Section 1542, which says: "A general release does not extend to claims which the creditor does not know or suspect to exist in his favor at the time of executing the release, which if known by him must have materially affected his settlement with the debtor." We are under no legal obligation to, and generally do not, control the information provided by other users that is made available through the Website. By its very nature, other people&apos;s information may be offensive, harmful or inaccurate, and in some cases will be mislabeled or deceptively labeled. We expect that you will use caution and common sense when using this Website. The Material may contain inaccuracies or typographical errors. Black Bride makes no representations about the accuracy, reliability, completeness, or timeliness of the Website or the Material. The use of the Website and the Material is at your own risk. Changes are periodically made to the Website and may be made at any time. Black Bride DOES NOT WARRANT THAT THE WEBSITE WILL OPERATE ERROR-FREE OR THAT THE WEBSITE AND ITS SERVER ARE FREE OF COMPUTER VIRUSES OR OTHER HARMFUL MECHANISMS. IF YOUR USE OF THE WEBSITE OR THE MATERIAL RESULTS IN THE NEED FOR SERVICING OR REPLACING EQUIPMENT OR DATA, Black Bride IS NOT RESPONSIBLE FOR THOSE COSTS. THE WEBSITE AND MATERIAL ARE PROVIDED ON AN "AS IS" BASIS WITHOUT ANY WARRANTIES OF ANY KIND. Black Bride, TO THE FULLEST EXTENT PERMITTED BY LAW, DISCLAIMS ALL WARRANTIES, WHETHER EXPRESS OR IMPLIED, INCLUDING THE WARRANTY OF MERCHANTABILITY, FITNESS FOR PARTICULAR PURPOSE, TITLE AND NON-INFRINGEMENT.Black Bride MAKES NO WARRANTIES ABOUT THE ACCURACY, RELIABILITY, COMPLETENESS, OR TIMELINESS OF THE MATERIAL, SERVICES, SOFTWARE, TEXT, GRAPHICS, AND LINKS. IN NO EVENT SHALL Black Bride, ITS SUPPLIERS, OR ANY THIRD PARTIES MENTIONED ON THE WEBSITE BE LIABLE FOR ANY DAMAGES WHATSOEVER (INCLUDING, WITHOUT LIMITATION, INCIDENTAL AND CONSEQUENTIAL DAMAGES, LOST PROFITS, OR DAMAGES RESULTING FROM LOST DATA OR BUSINESS INTERRUPTION) RESULTING FROM THE USE OR INABILITY TO USE THE WEBSITE AND THE MATERIAL, WHETHER BASED ON WARRANTY, CONTRACT, TORT, OR ANY OTHER LEGAL THEORY, AND WHETHER OR NOT Black Bride IS ADVISED OF THE POSSIBILITY OF SUCH DAMAGES. The Website contains links to third party websites. These links are provided solely as a convenience to you and not as an endorsement by Black Bride of the contents on such third-party websites. 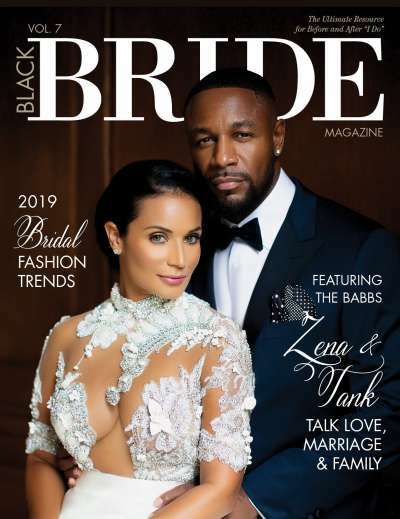 Black Bride is not responsible for the content of linked third-party sites and does not make any representations regarding the content or accuracy of materials on such third party websites. If you decide to access linked third party websites, you do so at your own risk. The aggregate liability for Black Bride to you for all claims arising from the use of the Materials is limited to $100. Black Bride reserves the right, at its sole discretion, to pursue all of its legal remedies, including but not limited to deletion of your information from this Website and immediate termination of your registration with or ability to access the Website and/or any other service provided to you by Black Bride, upon any breach by you of these Terms and Conditions or if Black Bride is unable to verify or authenticate any information you submit to the Website registration with or ability to access the Website. You agree to defend, indemnify, and hold harmless Black Bride, its officers, directors, employees and agents, from and against any claims, actions or demands, including without limitation reasonable legal and accounting fees, alleging or resulting from your use of the Material or your breach of the terms of these Terms and Conditions. Black Bride shall provide notice to you promptly of any such claim, suit, or proceeding and shall assist you, at your expense, in defending any such claim, suit or proceeding.